Jónsi, Sigur Rós' lead singer/guitarist is, somewhat notoriously, a fan of heavy metal music. There’s an enormous disconnect between his band and his solo work and, say, Metallica, so it has lead me to a theory about Sigur Rós. An unverified, difficult-to-support theory, but here it is regardless: When Jónsi formed the band (alongside bassist Georg Hólm and Ágúst Ævar Gunnarsson, who left the band recently) he actually wanted to make metal but, because of the innate beauty of his voice, he decided he might initially have more success making music that is more easily described as “beautiful,” after which he would show his true colors and make some form of heavier music. Over the next decade plus, Sigur Rós gradually accumulated enough of a fan base (and critical acclaim) to headline festivals and sell out the iconic Madison Square Garden, so with the “succeed” box inarguably checked off the to-do list, Kveikur, the band's 2nd album in just 13 months, shows off the metal side of the band. It’s not completely removed from the band that first captivated many of us with Ágætis byrjun, but there are some definite industrial and metal influences to be found. And yet, Kveikur still sounds a bit familiar. One could argue that a streak of increasingly light, less confrontational music that began with Takk… met its logical end with last year’s ambient Valtari, so Kveikur returns to the darker and more daring sounds of Ágætis byrjun and (), albeit without the emotional punch. In other words, Kveikur is an amalgamation of everything they’ve done, new yet familiar, and sure to please anyone who has ever enjoyed a Sigur Rós album. The album begins strong with Brennistein. Fuzz segues into the heavy mix of cymbals and pounded snare, and an industrial, detuned guitar engages in a tug-of-war with frantic strings. Jónsi’s powerful vocal track easily sustains the song through its (nearly) eight minute runtime, and the complex time signatures scream Sigur Rós despite Brennistein being largely unprecedented in their discography. Each chorus sounds more urgent than the next, each verse fights to be louder than the previous, and just when everything seems to settle around string harmonics, the introductory fuzz pushes its way to the forefront. In addition to being an album highlight, Brennistein stands tall in the band's large body of work. Kveikur never gets that heavy quite so effortlessly, although the title track, with its distorted guitar and industrial grind, comes close. Hrafntinna matches Brennistein in terms of audacity, with chimes and brass throughout, although it never quite reaches the same highs. It lacks the tension on the verses that Brennistein finds so effortlessly, and its chorus isn’t quite as desperate; that said, it’s the perfect follow-up to Brennistein in terms of surprise. By the time Isjaki gets going, it’s easy to envision the band charging along to it as their victory anthem, as if saying “Yeah, we made that heavy metal album we always wanted to,” a transformation that Yfirborð (the winner of this album’s “how do I say that?” contest) takes you through, almost step by step. A low noise that could be a human voice, and then synths come in, then strings, then drums and at last the voice comes to the forefront. The song continues to build, hinting at its industrial finish as early as a minute in, but always coming back down, as if the victory march can continue no more. 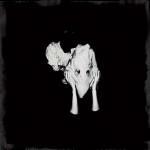 And indeed, that’s nearly the last you get from the new Sigur Rós. Kveikur reaches for it, and what it lacks in anthemia it makes up for in desperation, which takes over as the album’s main theme, as if the band is struggling to sustain the imaginative mix that marks its best tracks. It begins with Stormur—which does indeed mean storm—and it’s phone-buzz like intro, which contrasts with the chimes on the chorus and pushes forward with thundering drums. It really does sound like a storm is coming, and Kveikur is the last cry for help. The triumphant, orchestrated Rafstraumur are the last stand before some imagined album-traveling protagonist hunkers down for Bláþráður (okay, maybe this wins the contest) and Var. The former is marked by its desperate, somewhat accusatory vocals and its unrelenting, end-of-the-world drums. The metal band threatens to breakthrough in distorted bursts of guitar, but Varshows us that beauty always wins out. It’s a somewhat familiar minor-key number, driven by a simple piano phrase that is gradually taken over by strings; it could easily have come out of the sessions for (), but for an album that starts off so boldly, seeing it end with such a sad, defeated song makes Kveikur—that’s pronounced “quaker,” like a natural disaster, not a religion, if translations of the track names are reliable—sound like a concept album about sensual understanding of the end of the world. Jónsi famously makes up his own language when he pens lyrics, so it’s hard to say exactly what is going through his mind on Kveikur, but it’s a startling album, at once declaring the band’s total independence, their adoration for the music they have made, and their desire to break free, as if somehow trapped. It’s hard to say how successful it is without seeing what comes next—in fact, it’s hard to say what would constitute “success” at all—but one thing is for sure: Kveikur is a strong album, one with no low-lights and an intriguing progression of sound. For a band that has always strived for unique forms and has always pushed the envelope, that means they haven’t stopped. That’s good enough for them, and that’s good enough for me.